Car Wash is an oft funny 1970s ensemble comedy with the likes of Richard Pryor and George Carlin making brief appearances but making the most of their limited screen time. 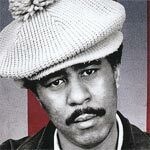 Richard Pryor was one of a kind who rarely compromised his standards, not giving a lick about offending others and also revolutionized stand-up comedy and has influenced so many over the years and till this day. The documentary itself is well done if not low key in its approach nicely weaving archival footage with new interviews (including the late Robin Williams) with a variety of comedians and show biz folks who knew and worked with Pryor.